Courts have upheld the listings of ringed and bearded seals in the U.S. Arctic — but both species still lack critical habitat designations. An environmental group says it plans to sue the Trump administration for failing to designate critical habitat for two species of threatened ice seals that dwell in waters off Alaska. The Center for Biological Diversity last week filed a formal 60-day notice of its intent to sue to the National Oceanic and Atmospheric Administration’s Fishery service over what it said was a “clear violation” of the Endangered Species Act concerning protections for ringed seals and bearded seals. The long-overdue critical habitat designations for the Beringian population of bearded seals and the Arctic population of ringed seals — both of which live in the Bering, Chukchi and Beaufort seas — puts those animals at extra risk from looming oil development, among other activities, the center’s notice said. “If bearded and ringed seals are to survive, they must not be denied the strong protections of the Endangered Species Act which were intended to safeguard them from extinction,” said the notice, sent to U.S. Commerce Secretary Wilbur Ross and to the heads of NOAA and NMFS. Ice seals do get some protections through the Marine Mammal Protection Act, but critical habitat designations are important to protect them from commercial fishing, shipping, pollutants and especially oil exploration, which the Trump administration is seeking to expand across Arctic Alaska, the notice said. Oil activities that could hurt ice seals include planned seismic surveys in the Arctic National Wildlife Refuge and oil production at the newly approved but yet-to-be-built offshore Liberty field,according to the Center for Biological Diversity’s notice. The notice of intent to sue is the latest in a long, back-and-forth legal history that led to Endangered Species Act listings for various populations of ice seals. 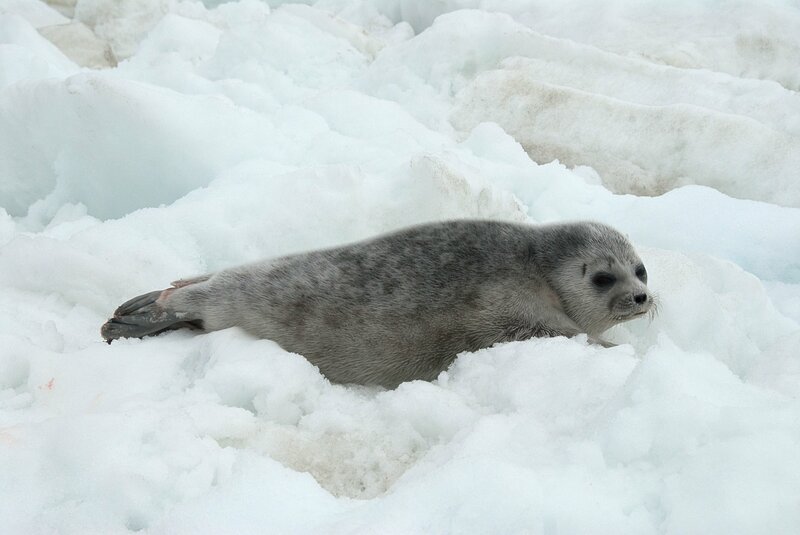 The Obama administration in 2012 issued the threatened listings for the bearded and ringed seals, among listings for other ice seal populations that live outside of U.S. territory. The listings cited climate change and dwindling sea ice as the major justification for the listing. The listings were prompted by a 2008 petition from the Center for Biological Diversity and follow-up litigation. The oil industry, the state of Alaska and others sued in 2013 to overturn the threatened listings, and U.S. District Court Judge Ralph Beistline in Alaska overturned them the bearded seal listing in 2014 and the ringed seal listing in 2016. But the 9th Circuit Court of Appeals reversed the lower court rulings, reinstating the listings in 2016 and 2018. A critical habitat designation has gone through its own on-and-off legal history. For ringed seals, NMFS in 2014 proposed what was to be the largest swath of critical habitat ever designated for any listed species — all of the Beaufort and Chukchi seas and the northern part of the Bering Sea. The total area, about 350,000 square miles, was about twice the size of California. The oil industry and its allies objected to the habitat designation as too big. Beistline’s ruling overturning the threatened listing put that designation on hold. After the appeals court reinstated the listing, NMFS pledged to restart the process to designate ringed seal critical habitat. But no new proposals have been issued for ringed seal critical habitat, and the agency has never made any proposals for bearded seal critical habitat. Julie Speegle, Juneau-based spokeswoman for NMFS in Alaska, said she could not comment on the legal case.